No dear, I'm not exaggerating. 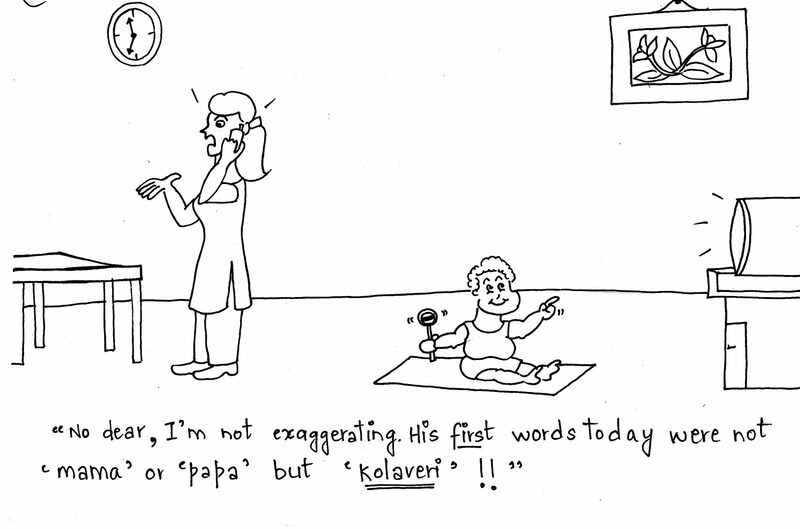 His first words today were not 'mama' or 'papa' but 'Kolaveri'! !